High quaity set of Lounge baskets by WMF. Great for contemporary and minimalistic interior scenes of kitchen or dining room as a decor element. Design: Metz & Kindler Produktdesign. 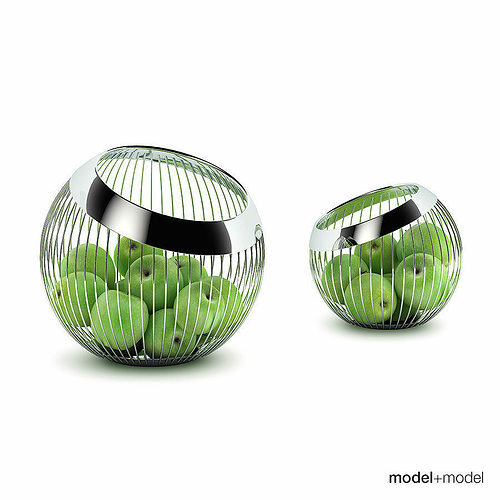 The set includes 2 round fruit baskets with green apples inside.